Jeremy Hunt has insisted that he wants the NHS to become entirely paperless by 2018 in order to save significantly on costs and improve patient services. During a speech organised by Policy Exchange, the health secretary said that “digital information [should] be fully available across NHS and social care services” by the early part of 2018, five years from now. He expressed concerns that the NHS may be “the last man standing” with regards to the technological revolution that businesses across the world and the rest of our economy are embracing. 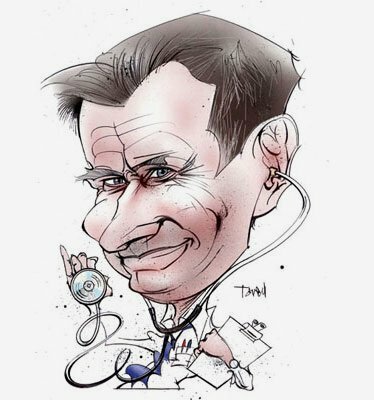 “It is crazy that ambulance drivers cannot access a full medical history of someone they are picking up in an emergency – and that GPs and hospitals still struggle to share digital records”, Mr Hunt pointed out. This has emerged less than a month since Mr Hunt said that he wants all hospital patient referrals to be completely paperless by mid-2015. Because of concerns about data protection and other factors, a move in this direction, originally suggested by Andrew Lansley in 2010, has been delayed but these plans are now back on track for five years from now. Labour’s shadow health minister Jamie Reed expressed concerns that this shouldn’t be seen as a priority and focussed on understaffed hospitals and waiting times as what should be a priority. This can only be considered a good thing in terms of improving the way the NHS works. If it is done the right way and all concerns are left by the wayside regarding data protection, this could be one of Jeremy Hunt’s wisest moves since being appointed. He’s right in what he’s saying; the world and the economy are moving on technologically and he has a point that the NHS should not be left behind but should be at the forefront of these advances. The NHS isn’t just a great service for its patients throughout the UK, but a worldwide brand that should lead the way in terms of both medical advancement or technological progress. It’s estimated by the PwC that around £4.4 billion could be put back into the NHS with better use of information and technology. Despite Mr Reed’s concerns that focus should be on waiting times, a move in this direction will improve it immeasurably. As Mr Reed should know, issues like this aren’t repairable overnight and what Jeremy Hunt is proposing might be going the longer way around but the results will be immeasurably better. Do you have any thoughts on this move? Get in touch on social media and let us know what you think. If you would like some more information on how your office can benefit from going paperless too, get in touch today, also you can continue reading about NHS and Patient record scanning service.